Consumer rating giant J.D. Power and Associates has released the results of its latest U.S. Wireless Purchase Experience Study. J.D. Power looked at a number of different things including in-store phone reps, websites and pricing. So which full-service carrier in the U.S. provides the best experience when it comes to hooking you up with a smartphone and data plan? According to J.D. 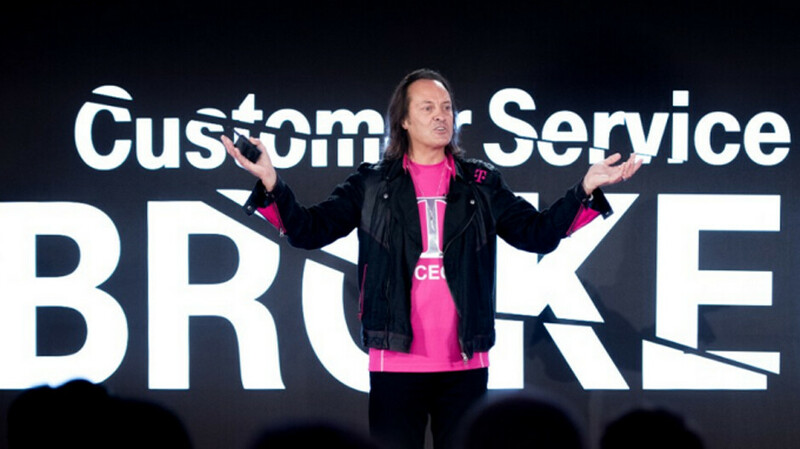 Power, T-Mobile scored the highest for overall experience with a score of 854 (on a 1,000 point scale), with the results coming in ahead of the industry average. Not only did T-Mobile win this award for the fourth time (and three years in a row), its pre-paid unit, Metro by T-Mobile, won its category for the third time. T-Mobile was going up against the other three major stateside wireless providers like AT&T, Verizon and Sprint. The competition for Metro by T-Mobile included Boost Mobile, Cricket and Virgin Mobile. Ironically, both Boost and Virgin are owned by T-Mobile's proposed merger partner Sprint, which is one of the reasons why some organizations, unions, and regulators are opposed to T-Mobile hooking up with Sprint. Among full-service carriers, AT&T finished second in the study with 846 points. Verizon finished third (837 points) with Sprint (815 points) bringing up the rear. For non-contract carriers, Cricket's score of 851 put it right behind Metro by T-Mobile. Virgin Mobile was third, with Boost was last; the pair scored 848 and 832 points respectively. Consumer Cellular won the non-contract value division with a tally of 873. Exactly. I live 35 miles west of NYC and Tmobile and sprint have no coverage around. Everyone is either on Verizon or AT&T no exception. I roll my eyes every time I see those stats. T-Mobile customer service is amazing. Everything is state based, minimal hold times, some time immediate answer, all knowledgeable. You can even send them message over Facebook and that works out well too. Yeah same as me. T-Mobile and Sprint- Gotta be in or near NYC or Philly. Anywhere in between (NJ), go with Verizon. The only good thing about AT&T is landline home phone service always working. JD Power ratings have zero credibility but I do like what T-Mobile have done to the industry. In a related article Chevrolet builds the most reliable autos.